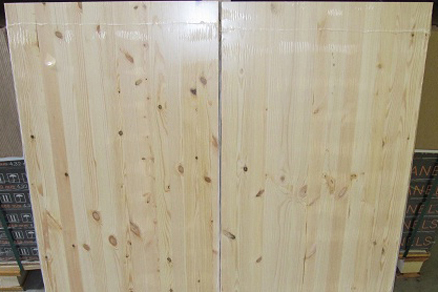 Edge Glued Panel (EGP) is a panel shaped product. Laminated shields are made from relatively narrow calibrated timber materials, which are joined together sideways, thereby forming a panel shaped end product. The decorative effect of edge glued panels can be enhanced by using lamellas made from different types of timber. Edge glued panel is most widely used by furniture manufacturers and the construction business when making built-in bespoke furniture. Some edge glued panels also find use as interior components of block boards. Finger jointed edge glued panels are manufactured by gluing together pieces of timber that have been notched along a comb-toothed pattern. It is widely used when making doorposts and window structures. Deformations of finger jointed materials are minimized in comparison to ordinary sawn timber – especially in conditions where there exist wide variations in interior and ambient temperatures. 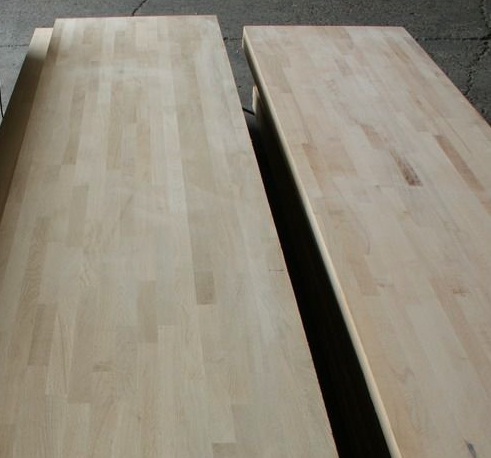 Finger jointed materials are more affordable in comparison to products made from single-piece lamellas, as the finger jointed method enables the use of lower quality timber. In the manufacture of timber, some lower-quality surplus timber is always left over, which can then be used by finger joining together the surplus parts to make whole pieces. Lower quality parts such as branches, resin pockets, cracks, etc. are cut away and finger jointed together to make a good quality end product. The comb-toothed pattern is visible only from the profile, with a narrow stripe running across the top part of the plate. Hence the visual appearance of the panel is not compromised. Who might take an interest in edge glued panels? Where are edge glued panels used? 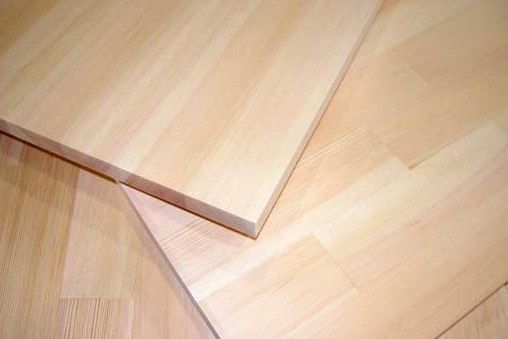 What type of timber is used for making edge glued panels? What are the advantages of using edge glued panels? - can be cut to suitable shapes – triangles, ovals, bends, etc.